Steven H. Voldman is an IEEE Fellow for 'Contributions in ESD Protection in CMOS, Silicon on Insulator and Silicon Germanium Technology'. He has a B.S. engineering science from University of Buffalo (1979), a first M.S. EE (1981) from Massachusetts Institute of Technology (MIT), a second EE degree (engineering degree) from MIT,a M.S. in engineering physics (1986) and a Ph.D. EE (1991) from University of Vermont under IBM's Resident Study Fellow Program. 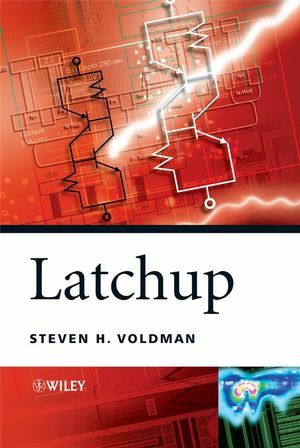 Since 1984, Voldman has provided experimental research, invention, chip design integration, circuit design, customer support and strategic planning for ESD and latchup. His latchup and ESD work consist of pioneering work on advanced CMS and BiCMOS semiconductor processing, and presently he is working on RF CMOS, RF BiCMOS silicon germanium (SiGe) technology, image processing and high-voltage smart power technology. Dr Voldman has written over 150 technical papers between 1982 and 2007. He is a recipient of over 160 issued US patents and 80 US patents are pending, in the area of ESD and CMOS latchup, Dr Voldman is an author of the John Wiley & Sons ESD book series - the first book, ESD: Physics and Devices; the second book, ESD: Circuits and Devices; and the third book, ESD: RF Technology and Circuits - as well as a contri8butor to the book, Silicon Germanium: Technology, Modeling and Design. Dr. Voldman was chairman of the SEMATECHESD Working Group from 1995 to 2000, to establish a national strategy for ESD in the United Sates; this group initiated ESD technology benchmarking strategy, test structures and commercial test system strategy. Dr Voldman was also part of the SEMATECH vertical modulated well PTAB in 1992 that focused on MeV implantation of latchup. He is a member of the ESD Association Board of Directors, ESDA Education Committee, as well ESD Standards Chairman for Transmission Line Pulse (TLP) and Very Fast TLP (VF-LP) testing committee. He has served on various Symposia internationally from technical program committee to tutorials on ESD and latchup - EOS/ESD Symposium, International Reliability Physics (IRPS), Taiwan ESSD Symposium (T-ESDC), International Conference on Electromagnetic Compatibility (ICEMAC), International Physical and Failure Analysis (IPFA) Symposium and Bipolar/BiCMOS Circuit Technology Meeting (BCTM). Steve Voldman Initiated the 'ESD on Campus' program to bring ESD lectures and interaction to university faculty and students internationally and has provided lectures in the United States, Europe, Taiwan, Singapore, Malaysia, Philippines, China and Thailand. Dr. Voldman received the ESD Association Outstanding Contribution Award in 2007. 1.2 Fundamental Concepts of Latchup Design Practice. 1.3 Building a CMOS Latchup Strategy. 1.4 CMOS Latchup Technology Migration Strategy. 1.5 Key Metrics of Latchup Design Practice. 1.6 CMOS Latchup Technology Trends and Scaling. 1.12 Summary and Closing Comments. 2.1 The Bipolar Transistor and CMOS Latchup. 2.4 Photon Currents in Metallurgical Junctions. 2.6 Vertical Bipolar Transistor Model. 2.7 Lateral Bipolar Transistor Models. 2.8 Lateral Bipolar Transistor Models with Electric Field Assist. 2.9 Lateral Bipolar Transistor Models–Nonuniform Vertical Profile. 2.10 Triple-Well Bipolar Transistor Models – Lateral and Vertical Contributions. 2.11 Merged Triple-Well Bipolar Models. 2.12 Summary and Closing Comments. 3.1.1 Regenerative Feedback without Shunt Resistors and Alpha Representation. 3.2 Latchup Criterion with Emitter Resistance. 3.6 CMOS Latchup Differential Tetrode Condition. 3.7 CMOS Latchup Differential Holding Current Relationship. 3.8 CMOS Latchup Differential Holding Voltage Relationship. 3.9 CMOS Latchup Differential Resistance Relationship. 3.10 Differential Generalized Alpha Space Relationship. 3.14 Alpha Particle Induced Latchup. 3.15 Summary and Closing Comments. Chapter 4 Latchup Structures, Characterization and Test. 4.2 Latchup Characterization Structures – Single- and Dual-Well CMOS PNPN Test Structures. 4.3 Latchup Characterization – Basic Triple-Well pnpn Latchup Test Structures. 4.4 Latchup Characterization Techniques – pnpn Structures with Deep Trench. 4.5 Latchup Characterization and Testing – Nonautomated Test Systems and Methodology. 4.6 Latchup Characterization and Testing – Automatic Test Systems. 4.7 Latchup Characterization – Wafer-Level Test Procedures. 4.8 Latchup Characterization Techniques – Wafer-level Transmission Line Pulse Methodology. 4.9 Latchup Characterization – Transient Latchup. 4.11 Latchup Failure Analysis Techniques. 4.12 Summary and Closing Comments. Chapter 5 CMOS Latchup Process Features and Solutions – Dual-Well and Triple-Well CMOS. 5.1 CMOS Semiconductor Process Solutions and CMOS Latchup. Chapter 6 CMOS Latchup Process Features and Solutions – Bipolar and BiCMOS Technology. 6.1 CMOS Latchup in Bipolar and RF BiCMOS Technology. 6.2 Substrates – High-Resistance Substrates. 6.7 Triple-Well and BiCMOS Processes Integration. 6.8 Heavily Doped Buried Layer Implant and BiCMOS Technology. Chapter 7 CMOS Latchup – Circuits. 7.1 Table of Circuit Interactions. 7.4 Circuit Solutions – Input Circuit. 7.6 Latchup Circuit Solutions – Power Supply to Power Supply Sequencing Circuitry. 7.7 Overshoot and Undershoot Clamp Networks. 7.8 Passive and Active Guard Rings. 7.9 Triple-Well Noise and Latchup Suppression Structures. 7.11 Summary and Closing Comments. Chapter 8 Latchup Computer Aided Design (CAD) Methods. 8.3 Computer-Aided Design Extraction Methodologies – Searching for the pnpn. 8.4 CAD Extraction Methods – Searching for the Guard Rings. 8.5 Latchup Extraction Methods and Tools.